Many people have the impulse to help their fellow man and to serve worthy causes. One of the most important tools to achieve this end is the non-profit, tax exempt corporation. Forming this type of entity allows funds to be raised without being taxed, permits contributors to deduct their contributions from their income tax, and protects the people working for the organization from personal liability. However, the process can be complex. Our attorneys help people and charitable organizations navigate this complex area. The basic steps are outlined below. Incorporation. The first step is to incorporate. The primary protection offered by the corporate form is that it protects the people who run and work for the non-profit from personal liability. The organization is incorporated with State of New Jersey, and it must be designated as a non-profit. A Federal Employer Identification Number (EIN) must be obtained as well. Trustees and Bylaws. To have a non-profit corporation, there must be a board with at least three trustees, each of whom must be at least 18 years old. The non-profit must also have bylaws, which are essentially the organization’s “constitution” — the bylaws set the entity’s purpose, the responsibilities and powers of the people who run the non-profit, and how it will be run. Charitable Registration. The corporation must be registered with the Charities Registration Section of the New Jersey Division of Community Affairs if it is going to receive gross revenue or contributions of $10,000 or greater in a fiscal year. The organization is then given a charities registration number. It is important that the filing requirement is computed based on gross income, not net. Thus, if the charity expects to spend $5000 on a fundraiser that it expects to bring in $12,000, while it will only net $7000, it will gross $12,000 and is required to register. Federal Tax Exemption. The key to the success a nonprofit is its tax exempt status. This means both that the non-profit organization does not have to pay taxes, and also that those who contribute to the organization can deduct their contributions on their income taxes, thus lowering what they have to pay Uncle Sam. 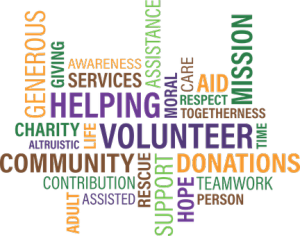 The typical non-profit is for a charitable organization and must apply for tax exemption under section 501(c)(3) of the Internal Revenue Code. If it “is organized and operated exclusively for religious, charitable, scientific, testing for public safety, literary, or educational purposes, or to foster national or international amateur sports competition…, or for the prevention of cruelty to children or animals, [and] no part of the net earnings of which inures to the benefit of any private shareholder or individual, no substantial part of the activities of which is carrying on propaganda, or otherwise attempting, to influence legislation (except as otherwise provided in subsection (h)), and which does not participate in, or intervene in (including the publishing or distributing of statements), any political campaign on behalf of (or in opposition to) any candidate for public office”, it qualifies as having a tax exempt charitable purpose under Section 501 (c) (3). The application for the 501(c)(3) approval from the IRS is often what discourages people from applying for tax exempt status, and it is true that the “long form” application process is quite complex, invasive and onerous. However, in 2014 the IRS created a “short form” application process (IRS form 1023EZ). The short form application for tax exempt approval is shorter, and should not present a serious obstacle to those who want to incorporate but do not expect annual revenues of $50,000. The difference in the two types of applications are considerable. However, if the organization’s revenues are expected to be less than $50,000 for each of its first three years it is eligible to use the short form application process. Contact Us. Our attorneys have a unique basket of tools to assist you in this area. We represent organizations of all kinds, including for profit and non-profit entities, forming the organizations, advising them once they are formed, and representing them in negotiations and litigation. Moreover, Frank Nardi is also a certified public accountant in addition to being a lawyer, bringing considerable tools to this area. Maurice McLaughlin and Frank also volunteer with various professional and non-profit organizations. We can help you navigate setting up your organization, drafting its bylaws, complying with its administrative requirements, and obtaining tax exempt status. Call us at (973) 890-0004 or fill out the form on this page to set up a time to speak with one of our attorneys.